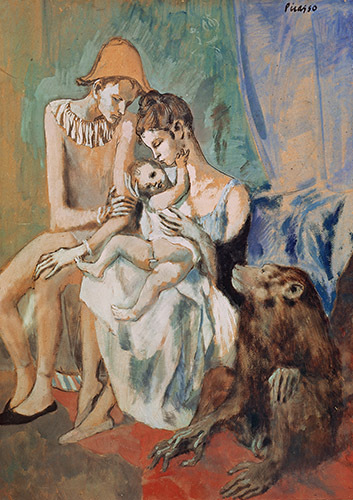 Joyce Glasser reviews Young Picasso (February 5, 2019), Cert. PG, 90 min. ‘In the autumn of 1907, a young Spanish artist showed his Parisian friends a new painting. So horrified were they that the rolled it up and hid it away for a decade. Indeed it would not be properly shown until 1937 – and yet it is a painting that changed the course of art history. The artist was Pablo Picasso. 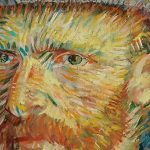 While the painting opens the film in flashback, it also marks the conclusion of Phil Grabsky’s (Vincent Van Gogh: A New Way of Seeing; Cézanne: Portraits of a Life; I, Claude Monet; In Search of Beethoven) compelling and enlightening documentary, Young Picasso. 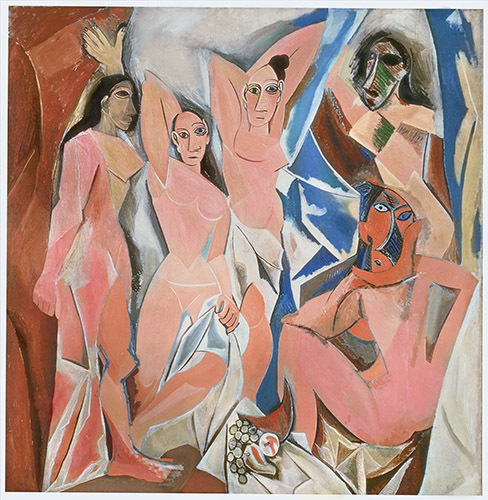 The painting is Les Demoiselles d’Avignon, (formerly, the Brothels of Avignon), named not after the French city but after the street in Barcelona famous for its brothels. Though Picasso never forgot his roots, the painting was influenced by Cézanne’s the Bather’s, Gauguin’s exotic sculptures and paintings, and by the African masks and statues which Picasso saw in Paris’ Museum of Mankind at the Trocadero. A landmark in the history of art, the 1907 masterpiece heralded his transition to Cubism and was like nothing anyone had seen before. Born October 25, 1881, Picasso had such a long, successful and prolific career and that you might feel saturated even in the UK where there is no dedicated Picasso museum (there is one in Germany and Spain and France have seven between them). But with the exception of the superb two-room exhibition at the Courtauld in 2013, Becoming Picasso, 1901, we know very little about his formation. And that exhibition began with Picasso’s first year living in Paris when he was already 20. But how did a child born into a middle-class family Málaga in 1881 and baptised Pablo Diego José Francisco de Paula Juan Nepomuceno Maria de los Remedios Cipriano de la Santísimo Trinidad Martyr Patricio Ruiz y Picasso, end up being ‘Picasso,’ the most important painter of the twentieth century? Grabsky takes us on his journey of discovery with the help of cinematographers in dozens of locations; archival photographs and the commentaries of top Picasso curators and experts as well as his grandson, Olivier Widmaier Picasso (Maya’s son). Picasso’s formation makes the question of nature vs. nurture a difficult one as if anyone’s life was marked from a young age it is Picasso’s. His father, José Ruiz Blasco was an artist in the golden age of Málaga and an art teacher. His toddler son would observe his father at work and was surrounded by his father’s artist friends and colleagues. In their home in Málaga, hung his father’s painting The Pigeon Loft of 1878 and we note Picasso’s lifelong interest in doves and pigeons. 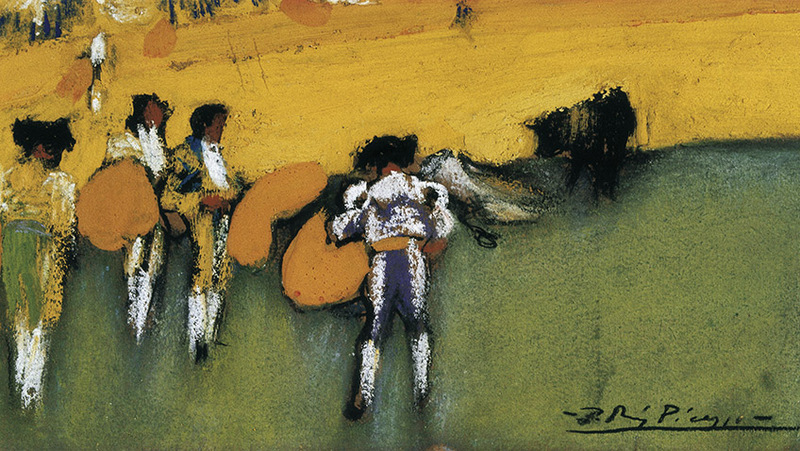 His father took his son to the bull fights (later in life, Picasso identified with the bull, a recurrent motif) and on the streets he soaked up the influences of the many cultures and the visual stimuli of the city’s rich street life. Pablo’s early life is a general progression north and to larger cities. Just before his 10th birthday his father took a teaching job in La Coluña and began teaching Pablo to paint in oils. From 1892-1894 Pablo was enrolled at the secondary school and also at the school of fine arts, where his father was his teacher. In 1894 his father took the thirteen-year-old out of regular school so he could focus on the study of art. In 1895 Picasso began his study of the human figure and his father paid for the live models (we are continually being shown examples of his work at each period). As was the custom, Picasso exhibited his portraits in shop windows on the high street, receiving complimentary reviews, with some comparing the 14-year-old to Giotto and Raphael. Here we are shown portrait of an Old Man from 1895 and a self portrait of 1895, still signed P. Ruiz. Pablo realised the art scene was in Barcelona and, as luck would have it, his father was able to swap posts and teach in Barcelona. By this time, according to Picasso’s memoirs, his father had gone through a kind of depression, abandoning painting for good. ‘He gave me his colours and brushes,’ Picasso writes, as though his father realises his son had already surpassed him and was more worthy of the paint. In Barcelona Picasso enrolled in the Llotja Art School. The training was old fashioned with repetition and copying, which frustrated Picasso. But it provided him with the very sound base that allowed him to develop. He was being influenced from all directions, but still had not developed his own style. This period is examined through a detailed analysis of Science and Charity from 1897, a competition painting whose subject was chosen for its popularity and ability to express characters with various emotions. The mandatory large scale was difficult for a small, sixteen-year-old to handle, resulting in a few errors of perspective, but the judges recognised the candidate’s potential. So did his father and uncle who paid for Picasso to study at Madrid’s prestigious San Fernando Royal Academy of Fine Arts. At the Prado, he saw the art of Goya, El Greco and Velasquez that he would return to later in life (the 1957 series, Las Meninas). 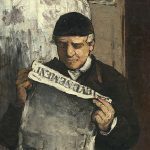 In Barcelona he had his first exhibition in the café The Four Cats that attracted the attention of the older artists Ramon Casas and Santiago Ruisiñol who had been to Paris and described the Bohemian life they led there. 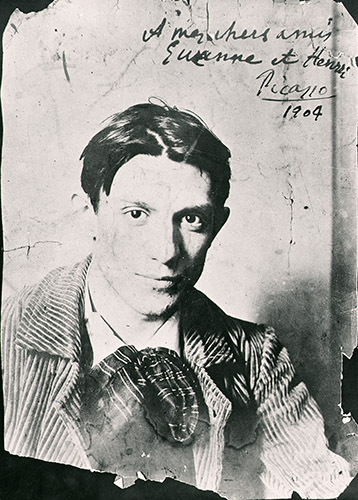 Picasso’s rebellious spirit was ignited by their tales and art. He visited Paris for a four month stay with his friend Charles Casagemas and made several trips before settling definitively in 1901. Heavily influenced by Toulouse Lautrec (he visited the Moulin Rouge), he was also meeting younger artists, painters, poets and dealers, one of whom, Ambroise Vollard, offered him his first show. Picasso arrived in Paris too late to see a major Van Gogh exhibition in March 1901, but he must have seen Van Gogh’s work through his dealer, Vollard. Van Gogh’s tragic life and style is unmistakable in Picasso’s expressionistic The Death of Casagemas, 1901, a tribute to his close friend who committed suicide in February 1901 over a failed love affair while Picasso was still in Madrid. 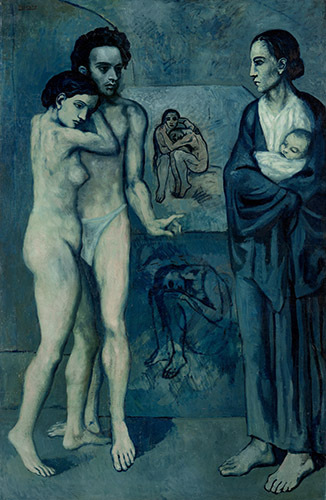 The death of his friend triggered Picasso’s Blue Period, first seen in the Burial of Casagemas, influenced by El Greco’s 1586 The Burial of Count Orgaz. In the film the Blue Period and the development of Picasso’s artistic identity is represented by the astonishing 1903 painting, La Vie, a final tribute to Casagemas, full of symbolism and rich in references. It is now in the Cleveland Museum of Art.